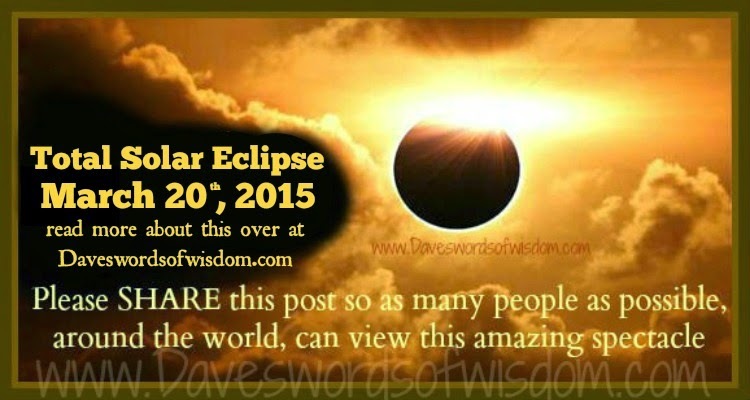 Daveswordsofwisdom.com: Supermoon Solar Eclipse - March 20th 2015. Supermoon Solar Eclipse - March 20th 2015. On March 20 – same date as the 2015 March equinox – the moon turns new only 14 hours after reaching lunar perigee – moon’s closest point to Earth in its orbit. Thus this moon is a supermoon – at the new phase – not visible in our sky, but having a larger-than-average effect on Earth’s oceans. Plus this new supermoon swings right in front of the equinox sun on March 20, so that the moon’s shadow falls on parts of Earth. that the path of totality (in blue) passes mainly over the frigid waters of North Atlantic Ocean. 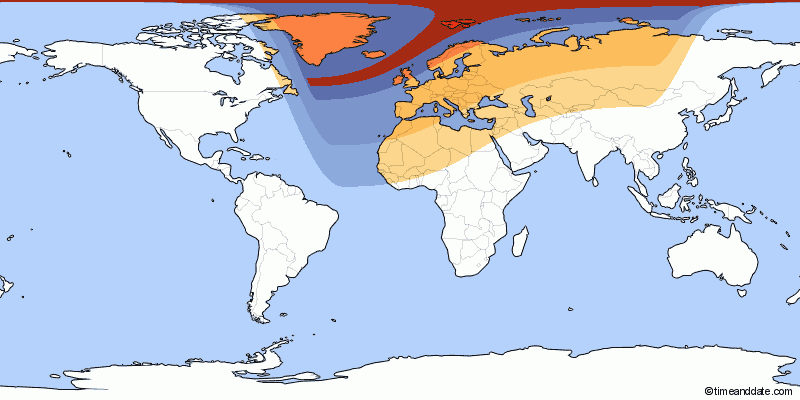 In other words, only those along that path – at high northern latitudes, near Greenland and Iceland – will see the total eclipse. 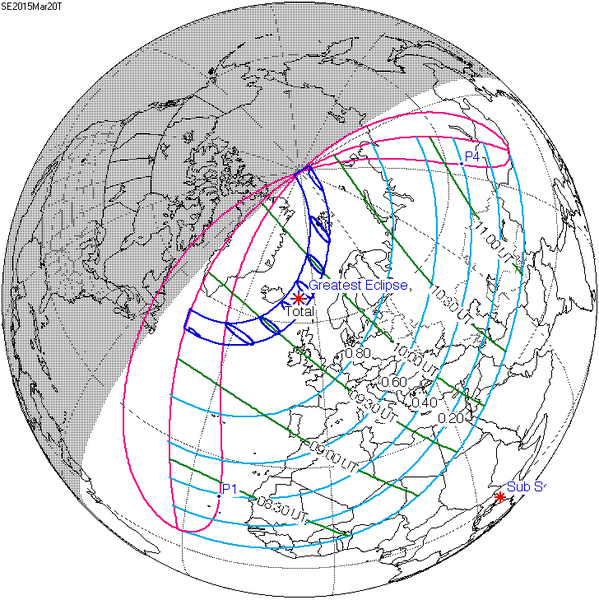 The path of totality starts at sunrise to the south of Greenland, circles to the east of Greenland and Iceland at midday, and ends to the north of Greenland at sunset. The best spots to watch this total solar eclipse from land are the Faroe Islands and the Svalbard archipelago, which reside right on the semi-circle path of totality.